Steve LeBrun makes 2 eagles en route to 62 and his 6th win in a row! LAKE WORTH, Fla. – Steve LeBrun of West Palm Beach, FL eagled the two par-5's on the inward nine Monday enroute to his career record 69th victory on the Minor League Golf Tour. Playing the South course at Fountains Country Club, LeBrun, 40, eagled the long 12th and 15th holes and birdied Nos. 10, 14 and 16 to close with 29-62 and win by three strokes. He had three birdies and a bogey on the front. LeBrun received $525 from the $1,625 purse, $150 from the optional bonus pool and $68.58 in the skins game for a total of $743.58. This raised his career earnings to $188,577 since 2007, third all-time on the Stuart-based minor tour which began in 2004. 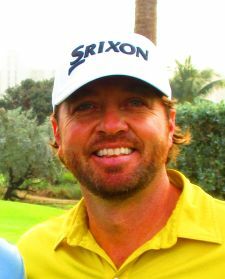 A graduate of John I. Leonard High and Florida Atlantic University, LeBrun has played on both the PGA and Web.com tours. Sunny Kim of Queens, NY, was second with 65 on an eagle and five birdies, collecting $422.86. Andrew Gai from Westport, CT, was solo 3rd with a 6-under par 66. The 59th tournament of the year drew 13 starters. 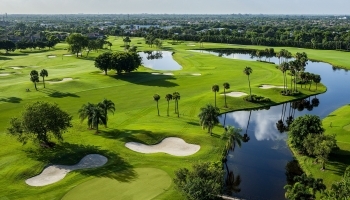 A 36-hole event is scheduled Wednesday and Thursday on the Palmer course at PGA National. 50% of the field earns a check. SOUTH COURSE.